The uncanny valley of Internet advertising: Why do creepy targeted ads follow me everywhere I go on the Web? 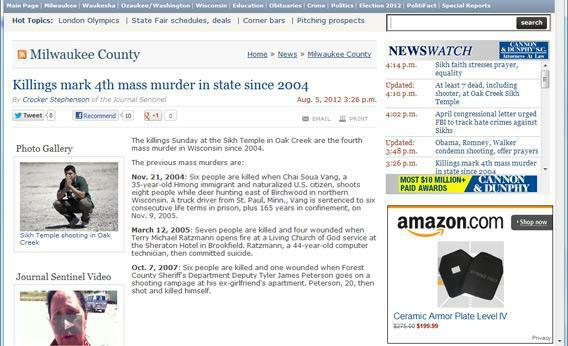 Targeted Web ads are too dumb to be useful and just smart enough to make you queasy. The ads are following you. If you ask an Internet ad guy to defend himself—to explain why you, dear Web surfer, should feel comfortable letting him serve you ads based on everything you do online—you’ll likely hear two arguments. First, he’ll tell you that targeted ads are simply the cost of doing business on the Web. It takes billions to build and maintain sites like Google and Facebook, and you don’t pay a dime to use them. Parting with some of your private information—and agreeing to tolerate, if not always click on, some ads—is your end of the bargain. But it’s the ad guy’s second argument that’s supposed to clinch the deal. That argument goes like this: Don’t worry, you’ll like the ads! This is the grand promise of Internet marketing. When they work like they should, ad gurus say, Web ads won’t annoy you with pitches for stuff you’d never buy but instead will delight you by introducing you to products and services that you never knew you really wanted. Over the years I’ve spoken to many marketing and privacy people at big tech companies, and they all tell some version of this story. Before the Internet, advertising was broken. Companies would waste billions to broadcast messages to people who weren’t interested in their wares, and because we all understood that most ads weren’t selling stuff we’d ever buy, we’d ignore most of the pitches sent our way. The Internet promised to change all that, transforming the enormous advertising industry from something that was mostly wasteful into a hyperefficient, hypereffective commercial matchmaker. It’s a great theory. And then you launch your browser, load up any site, and you’re bombarded with the ugly reality. Why are Internet ads so crappy? Why are they so often so creepy? Other than those tiny text ads that show up alongside your search results—which have truly revolutionized the ad business—most commercials you see online don’t seem to know anything at all about you or what you might buy. Surfing Gawker just now, I was served an ad for the Jaguar XJ, a luxury sedan that sells for $73,000. Here are some facts about me that an advertising network should be able to discern within about a millisecond of processing time: 1) I’m an online journalist. 2) I just bought a car. (My search history tells this story in gory detail.) 3) I am not over 50. Gawker’s Jaguar ad was not “targeted” to me; as far as I can tell, the ad shows up for all Gawker readers. But insofar as the ad was taking up space that could have been used for a pitch I might have responded to (say, an ad for insurance for my new ride), the ad was a failure. At least the Jaguar ad didn’t weird me out. I can’t say the same for the ads that are targeted to me. Yesterday I spent a few minutes browsing through Indochino, a site that sells custom-fit men’s clothing. I have previously written glowingly about Indochino and its rivals, and I’ve purchased lots of things from the company, so it’s not crazy to serve me ads for the firm. Today, though, the Web won’t quit with Indochino ads—on Slate, the New York Times, and pretty much every other site I visit, I’ve seen two and even three Indochino spots per page. Does this make me want to visit Indochino to buy something right now? No. I just went there! I decided not to buy anything! Can’t you take a hint? Taken together, the Jaguar and Indochino ads illustrate a terrible problem for the Web marketing business. I call it the uncanny valley of Internet advertising. 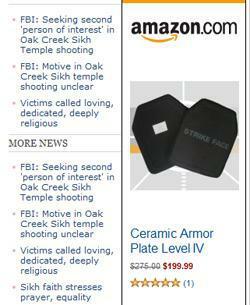 Today’s Web ads don’t know enough about you to avoid pitching you stuff that you’d never, ever buy. They do know just enough about you, though, to clue you in on the fact that they’re watching everything you do. The “uncanny valley” is a term coined by roboticist Masahiro Mori to describe the revulsion people experience when seeing robots that look and act almost, but not exactly, like humans. Badly targeted Internet ads provoke the same feeling. They’re dumber than any human salesperson, and they’re just smart enough to make you queasy. I’ve collected several examples of such poorly targeted campaigns from my coworkers at Slate. They range from the mildly annoying—ads for the online spectacle retailer Warby Parker that stalked one colleague for weeks after he’d ordered a try-on pair—to the embarrassing. One coworker purchased a couple of bras from Soma Intimates using her home computer. Then, back at her work, Soma began peppering her with ads showing half-naked women—and potentially revealing her taste in underwear—to anyone who happened by her desk. A lot of these ads ended up souring people on the firms being advertised. After spending a few days researching local gym memberships online, one colleague signed up for a deal at Crunch. But Crunch’s marketing department couldn’t quit even after winning. Not only did Crunch keep targeting my colleague with ads, but the firm has annoyed him still further by offering a better deal than the one he signed up for. The particular marketing tactic, in all these cases, is something ad mavens call “remarketing.” The theory is that once you’ve visited a certain company’s site but failed to buy anything, you’ve expressed enough interest to make you a target for more ads. You’re the one who got away, and if the company is persistent enough, maybe they can get you back! Some firms swear by remarketing. Omar Al-Hajjar, Indochino’s ad manager, told the e-commerce news site GetElastic that every time his firm increases the amount of ads it shows to people who’ve visited the site, its traffic and sales go up. “Users don’t seem to mind,” he said. Perhaps some people don’t. But I do. I just pulled up an old Slate article about the uncanny valley. 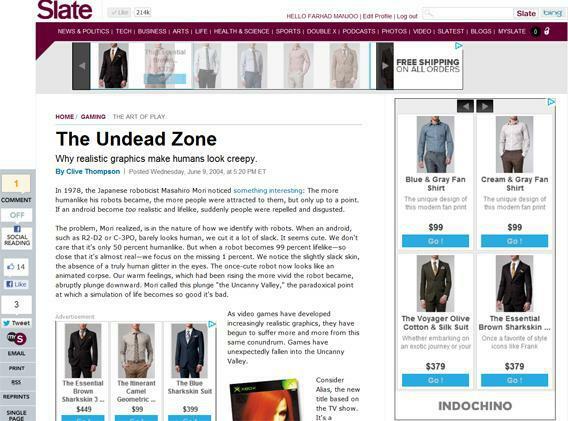 Look how comical Indochino’s ads look plastered all over the page. Doesn’t this seem a bit desperate to you? Aren’t there many customers who, when greeted by this bombardment just a day after visiting Indochino, will decide that the firm is stalking them? It doesn’t have to be this way. Brad Geddes, a Web ad expert and founder of the ad consulting firm Certified Knowledge, says advertising networks allow firms like Indochino to be much more discriminating about who they’re serving ads to, and when and where. Considering my history with the site, Indochino should know enough about me to realize that I don’t buy custom-made clothing every day. I recently purchased something from the site, so it would be wise not to go on an instant remarketing attack. Indochino should also know that when I do buy clothes, I tend to do so in the evenings and on weekends, not during the middle of the workday. Are you sure you don’t want to buy a Indochino shirt? Geddes’ argument is good as far as it goes—it’s true that Indochino, Soma Intimates, or Crunch could have avoided annoying me and my colleagues if they’d employed some of these tactics. But the larger consequence of this theory—the idea that advertisers could market to us more subtly if they only applied more of what they know about us—is that it makes monitoring our actions online even more valuable to companies. For the foreseeable future, then, expect most online ads to be stuck in the uncanny valley. Thankfully, there is one short-term fix: In June, Google launched a “mute” button for display ads. To mute a campaign, just hit the tiny X you see in the right-hand corner of ads served up by the search company’s network. Once you click it, Google promises to avoid showing you the same ad again and to “do our best to show you more relevant ads in the future.” Happy muting!